History repeated itself for non-league Brackley as Jimmy Armson's hat-trick helped them knock Gillingham out of the FA Cup in a 4-3 replay win after extra-time on Wednesday. 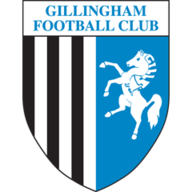 It is the second time in four seasons that the Gills have been humiliated by the Northamptonshire outfit, who also eliminated them at the same stage in 2013. 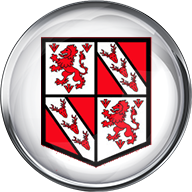 Armson was the hero for the Vanarama National League North side, opening the scoring in the 17th minute from close range after Steve Diggin had headed a free-kick into his path. Nine minutes later, the Saints doubled their advantage when Diggin played a deadly ball across the face of goal for Armson to slide in at the back post. Jake Hessenthaler pulled one back for the visitors before the break, firing in from a tight angle after goalkeeper Laurie Walker had saved Bradley Dack's shot. And Scott Wagstaff equalised in the second half, just moments after his introduction from the bench, poking in after the 'keeper had pushed out Cody McDonald's cross. Shane Byrne restored the home side's advantage six minutes into extra-time when his corner crept in at the near post. And Armson completed his hat-trick shortly after, curling an effort into the corner. McDonald ensured a nervous finish with eight minutes to go, seizing on a defensive error and rounding the 'keeper to tap into an empty net. But Gillingham could not force an equaliser, sending Brackley through to a second round tie with Blackpool at Bloomfield Road. Upgrade to Sunshine Golf now to watch Man Utd v Arsenal this Saturday and get the first six months half price!